WordPress is a very popular choice amongst web designers and developers because of its easy setup, large community and thousands of plugins to extend functionality. But, there's an array of content management systems out there which maybe more suited to your requirements than WordPress and it's definitely worth looking into. WordPress is good, but like all applications it has its disadvantages. When I first started my business in 2007, I used WordPress 2.x a lot. It was quick to build with, assumed your site only had one content area (which most did in those days) and it was easy for my Clients to use. However, today I tend to avoid it if I can. Why? The main reasons are content, performance and security. Content - WordPress was initially built as a blogging platform but over time has been converted into a CMS. Therefore it still makes the assumption of a single content area which can of course be fixed using a plugin or custom fields. Performance - Over the last few years WordPress has become increasingly bloated with features to the point there's a noticable delay when loading pages. Sometimes this is made worse by third-party plugins. Security - WordPress is always being hacked, which is understandable as it's the most popular CMS in the world right now. WordPress is still one of the easiest applications to use for developers and non-developers alike and if it's perfect for your project, then it's all good. Over the last few years Craft has grown massively. It's become very popular with designers and developers. It boasts a great user interface and feature set including customising your content modal. ExpressionEngine has been around for a long, long time and has a massive set of features. There's a large community for it and some great plugins available. Like Craft, it allows you to create your own content structure with all types of different fields. Concrete5 is an interesting CMS with features, like their in-context editor, which makes managing websites very easy. 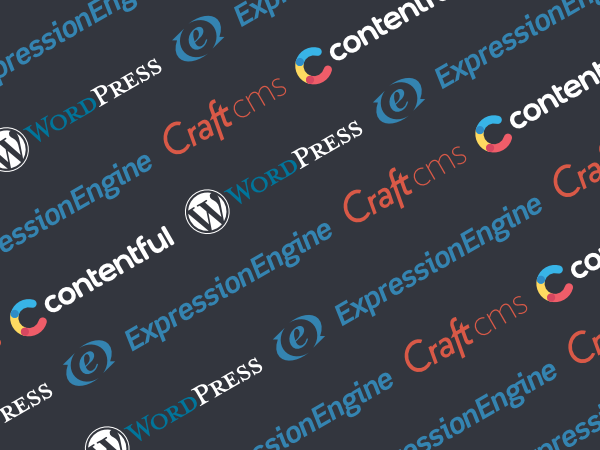 LightCMS is a hosted lightweight solution which means it would be difficult to add bespoke functionality as there would be no access to the application code. Because it's a light solution, it makes editing and managing content very intuitive. In addition, because it's a hosted solution you do not have to pay for additional hosting on top. It's best to liaise with your Web Designer/Developer about which CMS is the most suitable for your project and being aware of the available options will make this discussion more productive for both parties. There is no right or wrong answer, but identifying specific features early on can help to keep your website ahead of your competition.